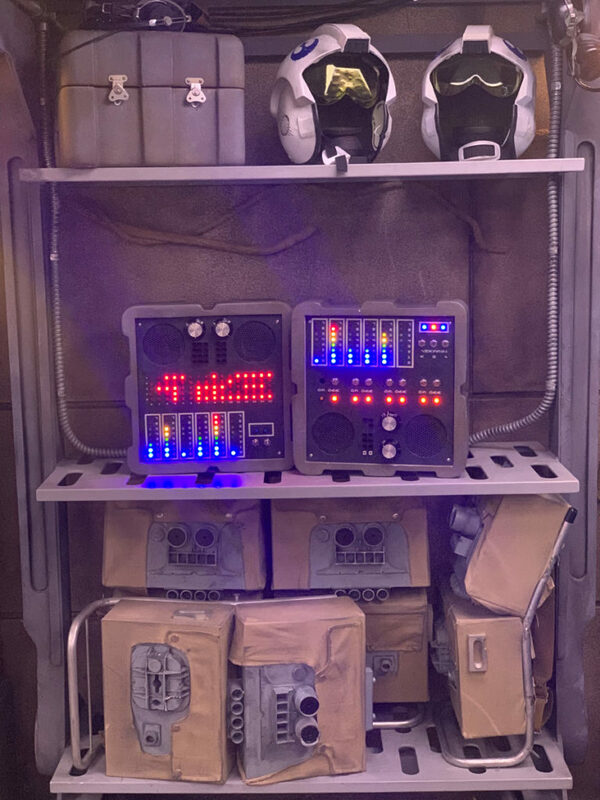 It’s almost time for the first visitors to step foot on Batuu when Star Wars: Galaxy’s Edge opens at Disneyland Resort May 31. Getting inside won’t cost you any additional credits once you’ve entered the park, but until June 24, visitors will need a reservation and a regular admission ticket to get a glimpse inside the new themed land. Fans can expect specific details on how to make reservations on the Disney Parks Blog and Disneyland.com to be released on May 2 at 8 a.m. PT. You must have a Disney Account to register for a reservation, so be sure to create one before registration opens at 10 a.m. PT that day. There is no additional cost to make a reservation, but reservations are subject to availability. 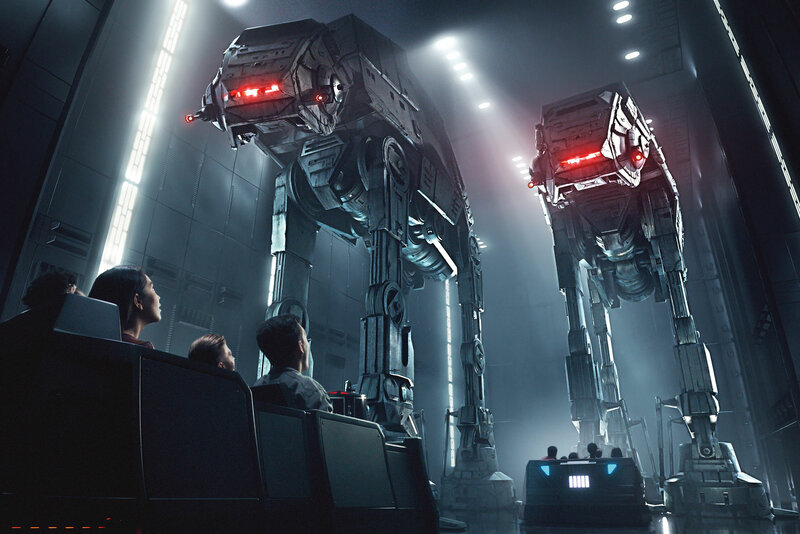 Star Wars: Galaxy’s Edge will open May 31 at the Disneyland Resort in Southern California and August 29 at Disney’s Hollywood Studios in Florida. Guests looking to guarantee a reservation to Star Wars: Galaxy’s Edge at the Disneyland Resort today can also get one by staying at a Disneyland Resort hotel between May 31 and June 23, 2019. Click here or call (714) 520-5060 to book your stay. Mark your calendars and set your hyperspace coordinates! Earlier today, it was officially announced that Star Wars: Galaxy’s Edge is opening ahead of schedule on May 31 at Disneyland Resort in Southern California and August 29 at Disney’s Hollywood Studios in Florida. 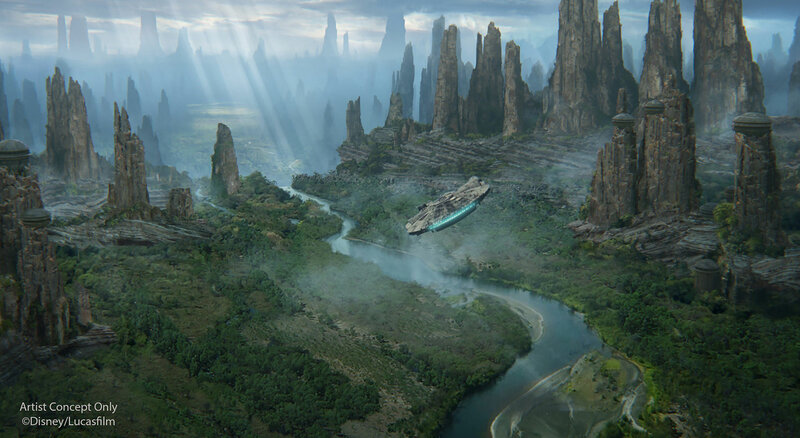 As detailed on the Disney Parks Blog, Star Wars: Galaxy’s Edge “is debuting early because of high guest interest in experiencing this new, immersive land. 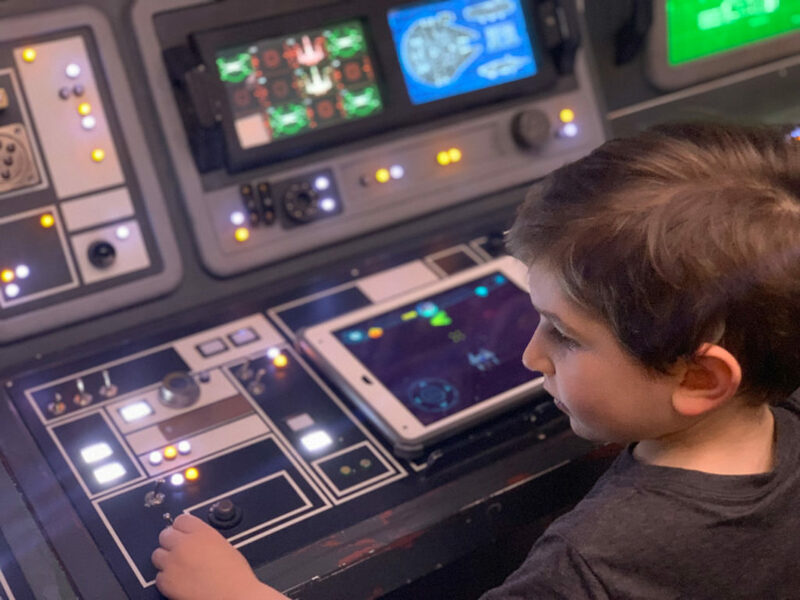 On opening day for phase one, you’ll be able to live your own Star Wars story and take the controls of the most famous ship in the galaxy aboard Millennium Falcon: Smugglers Run, sample amazing galactic food and beverages, explore an intriguing collection of merchant shops, and more. “Guests planning to visit Star Wars: Galaxy’s Edge at Disneyland park in California between May 31 and June 23, 2019, will need valid theme park admission and will be required to make a no-cost reservation, subject to availability, to access the land. 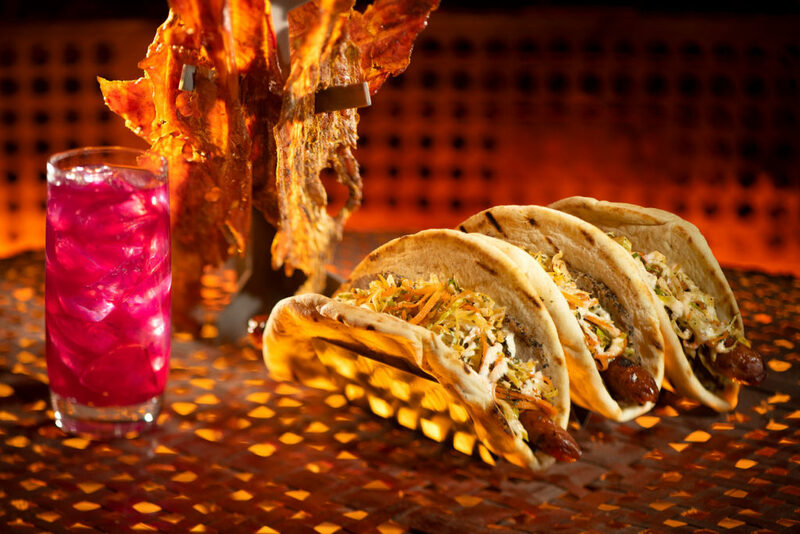 Information on how to make a reservation will be available at a later date on Disneyland.com and the Disney Parks Blog. 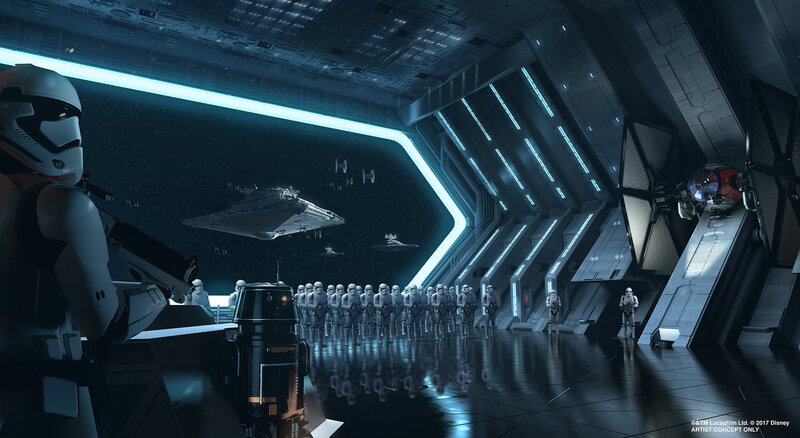 Guests staying at one of the three Disneyland Resort hotels during these dates will receive a designated reservation to access Star Wars: Galaxy’s Edge during their stay (one reservation per registered guest); valid theme park admission is required. Check back on this Disney Parks Blog post later today for even more details. 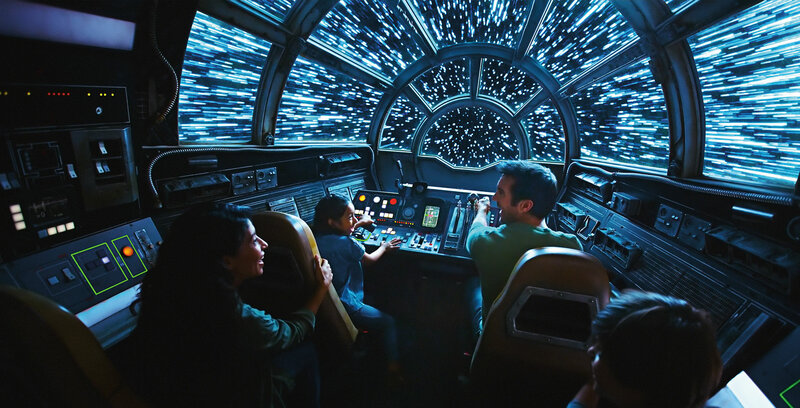 Star Wars: Galaxy’s Edge opens in California’s Disneyland Resort on May 31, 2019, and in Florida’s Walt Disney World Resort on August 29, 2019. 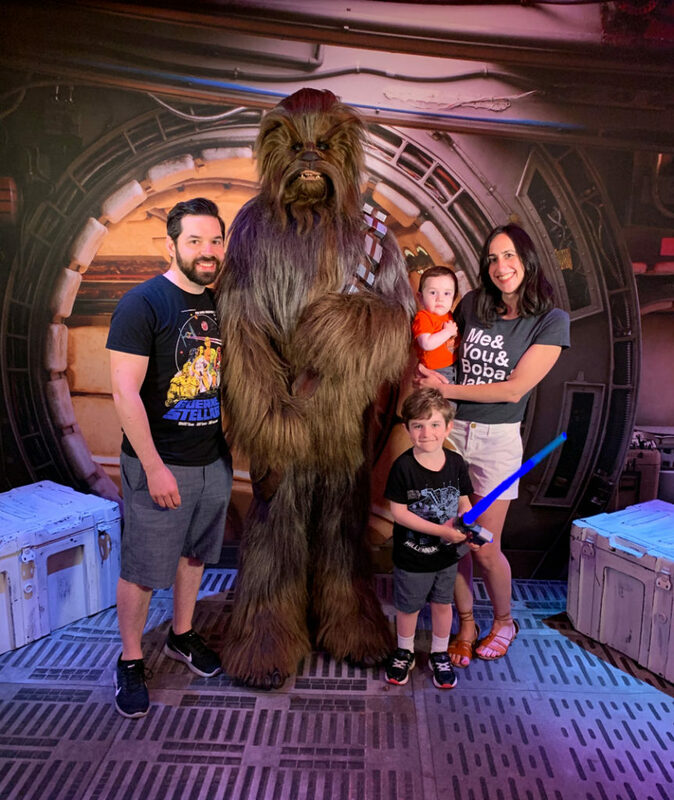 StarWars.com was invited to a special preview of Star Wars: Galaxy’s Edge, the upcoming Star Wars-themed land opening at California’s Disneyland Resort in summer 2019 and Florida’s Walt Disney World Resort in fall 2019. 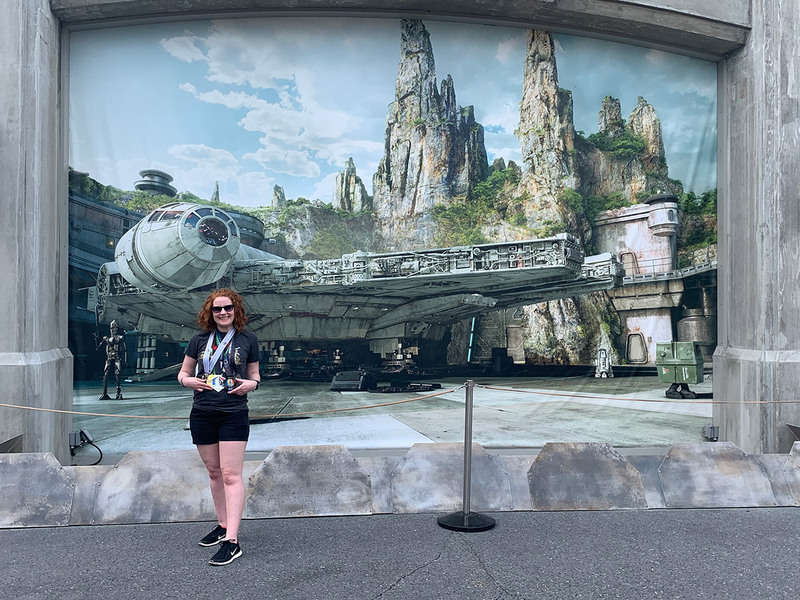 There were tons of reveals from the creative minds bringing Galaxy’s Edge to life, and in our tour of the Disneyland site; below, we’ve encapsulated all the main details and insights to get you ready for your trip to a galaxy no longer so far away. Punch it! 2. In Star Wars: Rise of the Resistance, you’ll be captured by the First Order — and come face to face with Kylo Ren. 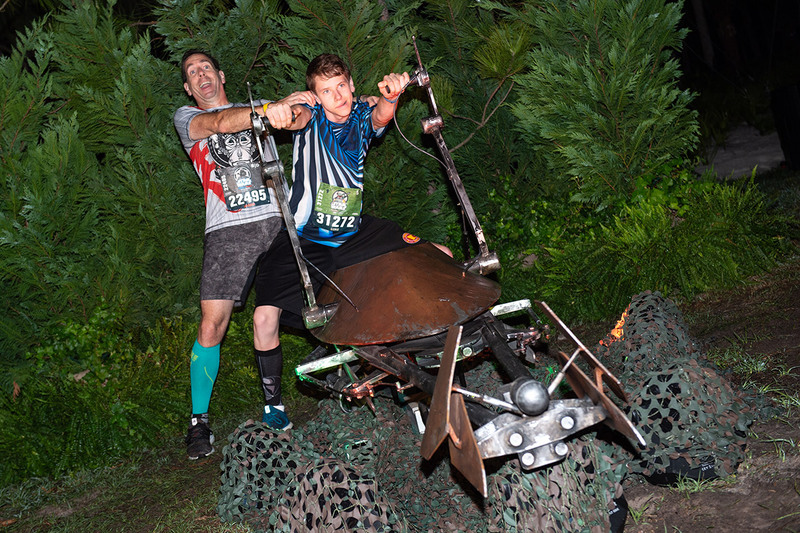 Outside of the Black Spire marketplace is a forest area, which is where the Resistance is encamped. “This is a time when the Resistance is back on their heels, they’re a ragtag group, and they’re looking to rebuild,” said Trowbridge. “This is our opportunity to join the Resistance.” The attraction will throw you right into the middle of a battle between the First Order and the Resistance and, eventually, inside a Star Destroyer. 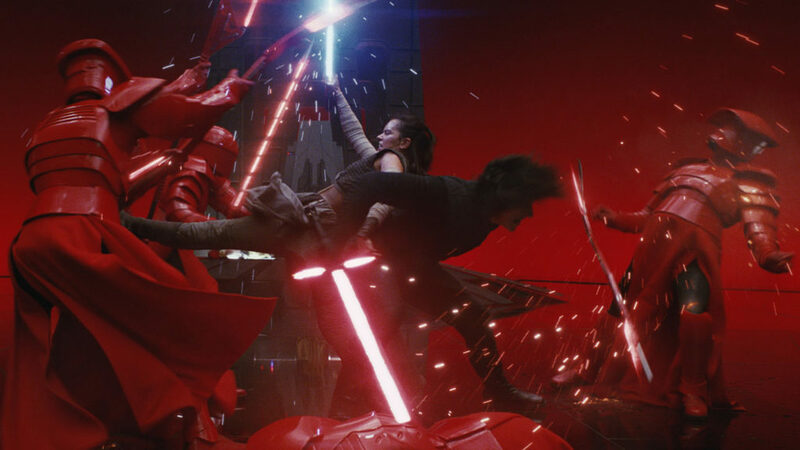 There, you’ll encounter the First Order’s dark enforcer; if you survive and make it back home, you just might become a Resistance hero. 3. You’ll encounter BB-8, Finn, Poe, and Rey on Rise of the Resistance. 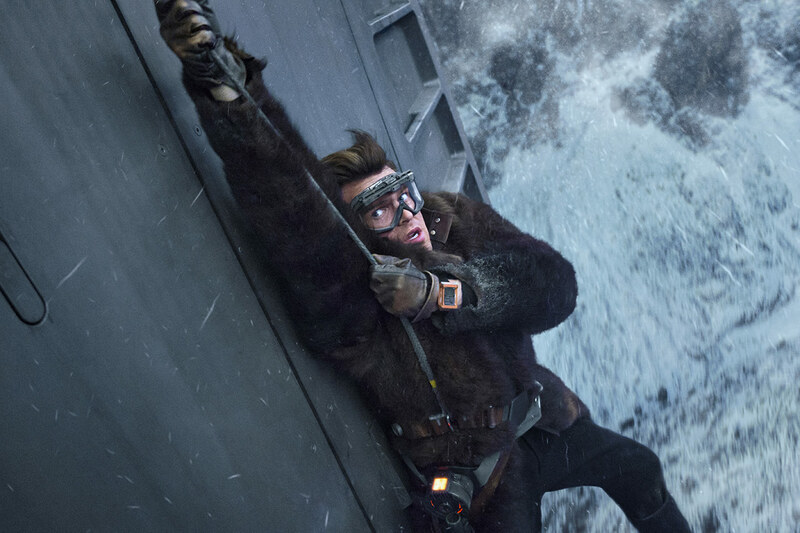 John Boyega, Oscar Isaac, and Daisy Ridley have all reprised their roles, respectively, for the attraction; in what form they’ll appear is yet to be confirmed. 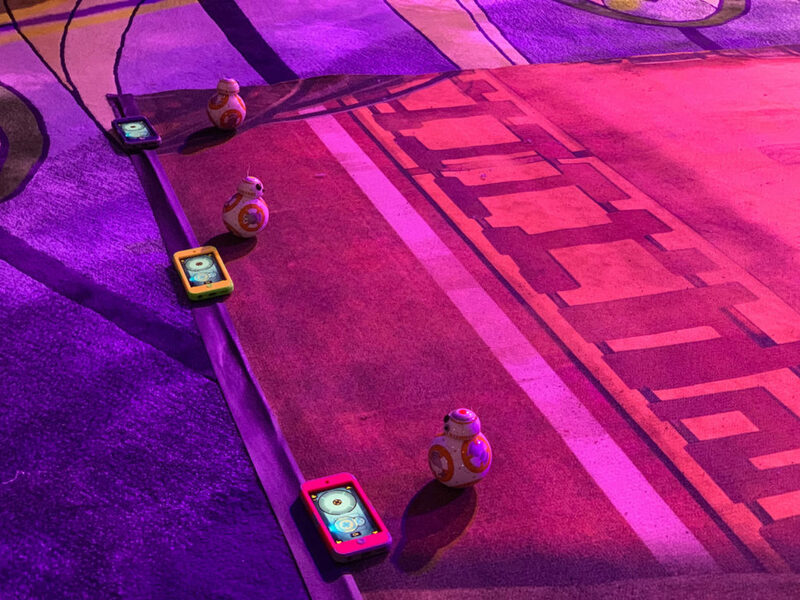 BB-8 will be live and in-person! 4. The story of Galaxy’s Edge takes place during the sequel trilogy. 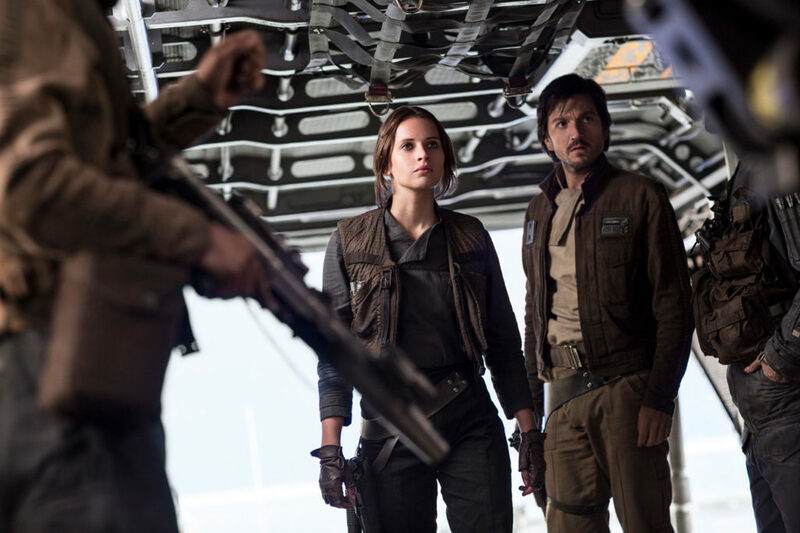 While a set place in the timeline is yet to be revealed, it was confirmed by Pablo Hidalgo of the Lucasfilm Story Group that the land’s story is centered around the Resistance/First Order conflict. 5. There are new ships at Black Spire Outpost. 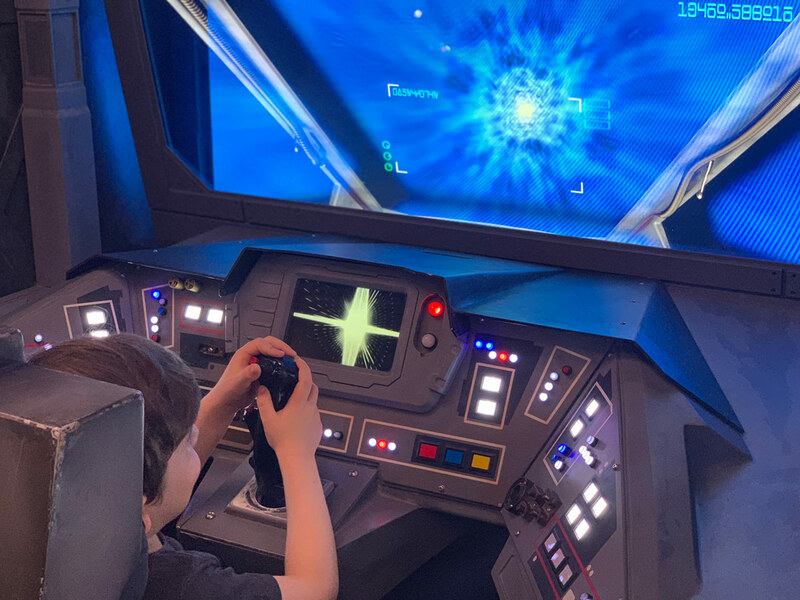 Walking through Galaxy’s Edge, you’ll spot a kind of TIE fighter never previously seen, and a newly-created shuttle that will start your mission for Rise of the Resistance. 7. 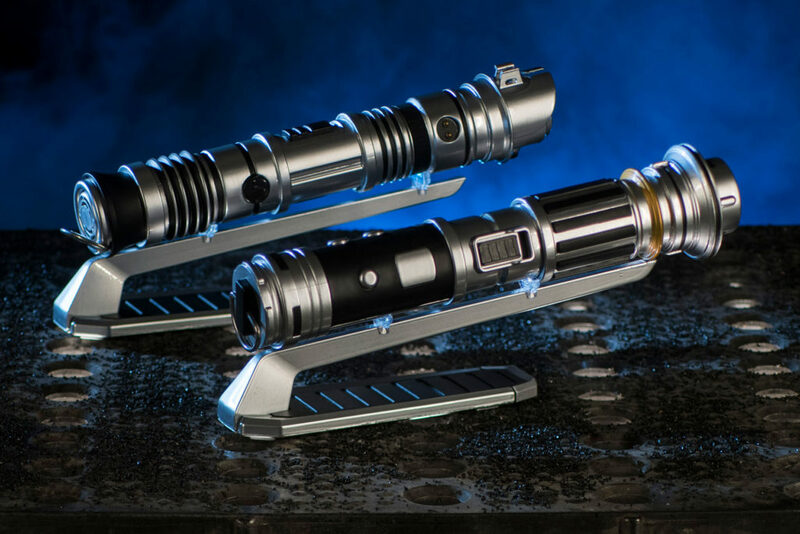 You can build your own, one-of-a-kind lightsaber. 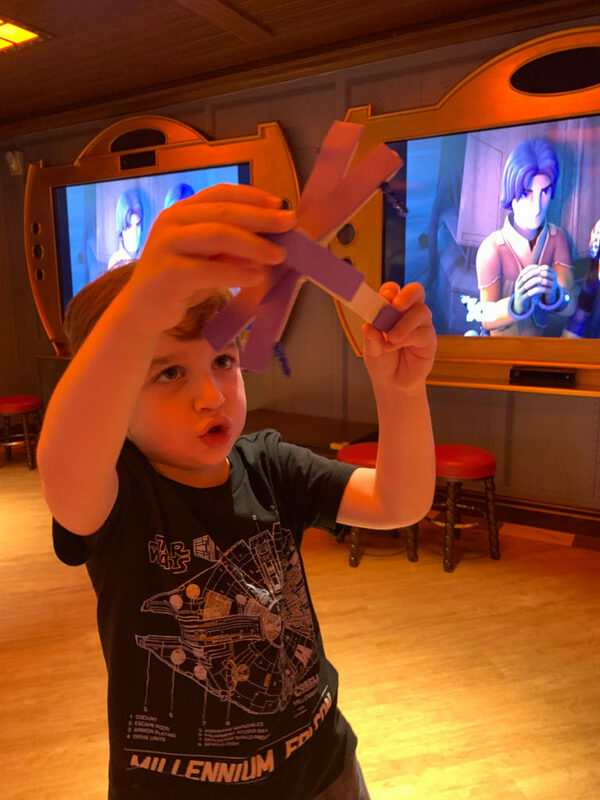 Head to Savi’s Workshop, where you can make a custom Jedi (or Sith) weapon, complete with a kyber crystal at its core. 8. Need a droid? 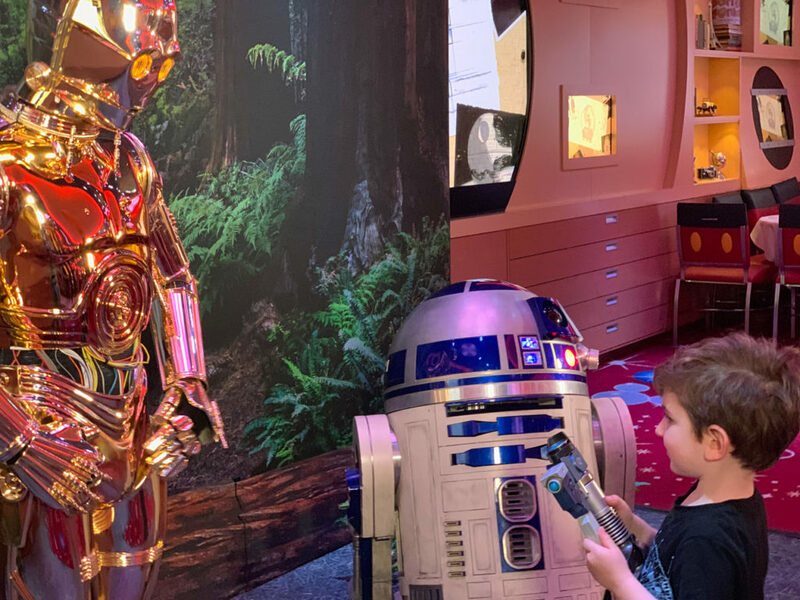 Go to the Droid Depot. If you ever wanted your own BB or R2 unit, you’re in luck. 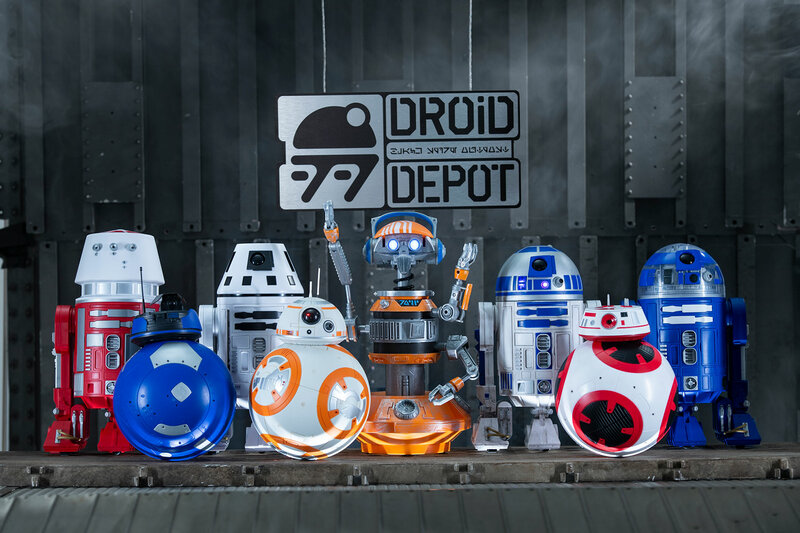 You can build your own droid pal, mixing and matching parts, at this shop. 9. If you’re looking for a pet, go to Bina’s Creature Stall. 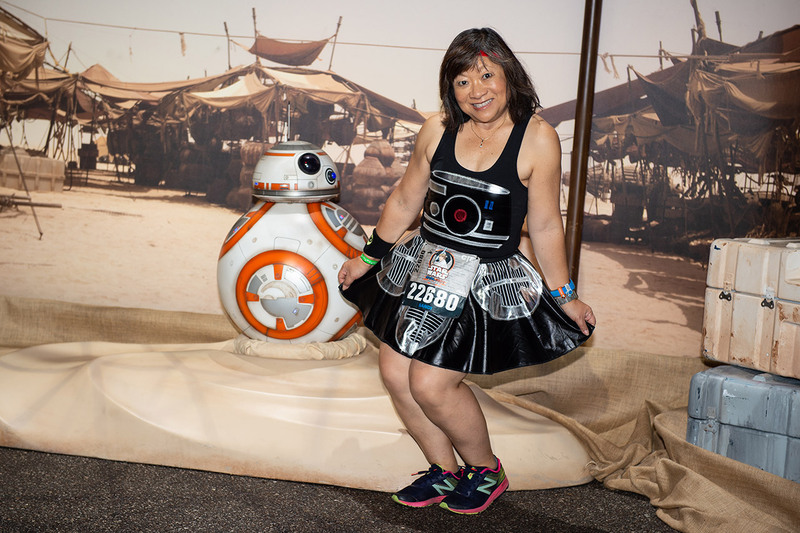 “[She] loves to travel around the galaxy and collect different creatures, and she brings them back here to Batuu,” said Brian Loo, creative producer at Walt Disney Imagineering. Creatures for sale include tauntauns, rathtars, and more. 10. 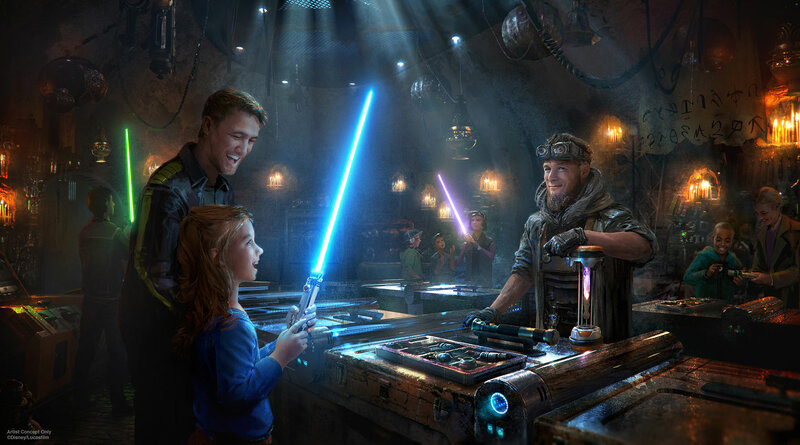 Star Wars: Galaxy’s Edge is the largest themed-land expansion in Disney Parks history. “This location is over 14 acres. 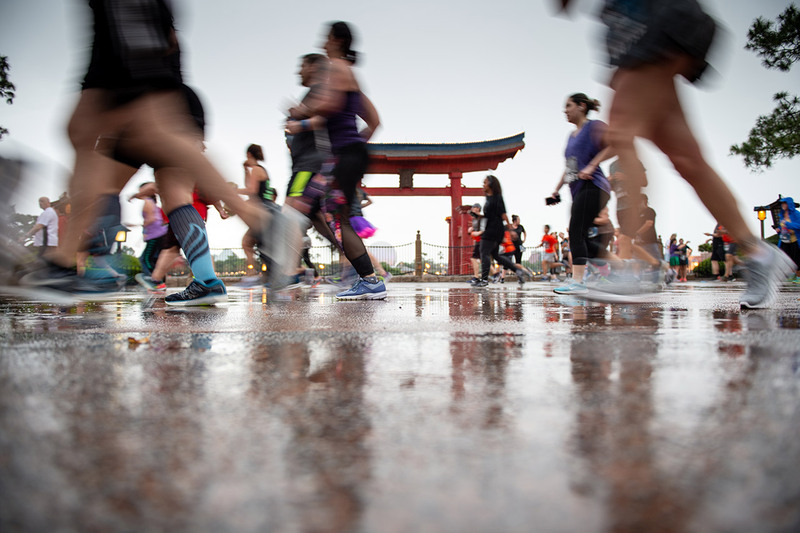 It is basically a small city in our Parks,” said Trowbridge. 13. Ronto Roasters and Docking Bay 7 Food and Cargo are your destinations for galactic delicacies. 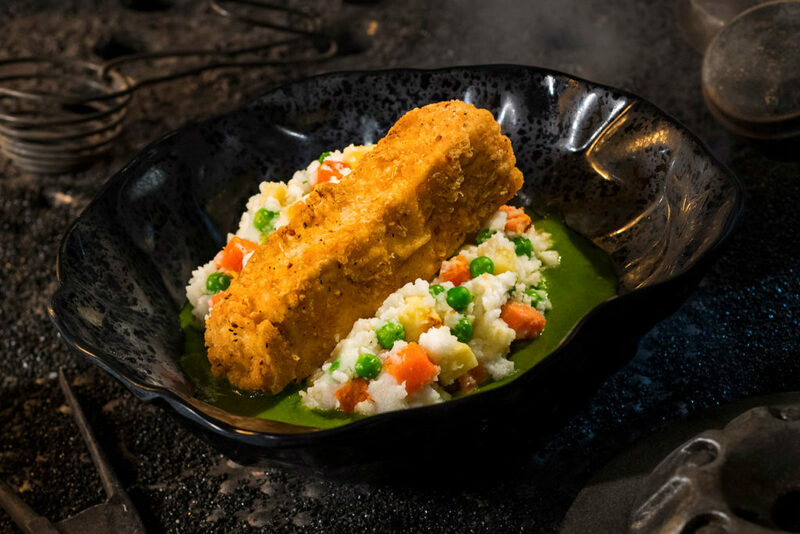 The eateries will feature in-universe food and drinks, including Docking Bay 7 Food and Cargo’s Fried Endorian Tip-Yip (fried chicken with roasted vegetable mash and herb gravy), Ronto Roasters’ Ronto Wrap (filled with spiced grilled sausage and roasted pork), and (wait for it, Star Wars Rebels fans) Meiloorun Juice. 15. There’s a toy shop, run by female Toydarian Zabaka, and its items look and feel like they were made in a galaxy far, far away. “One of our mantras is, if doesn’t feel like it would be home in a movie, it shouldn’t feel at home in the land,” Trowbridge said. 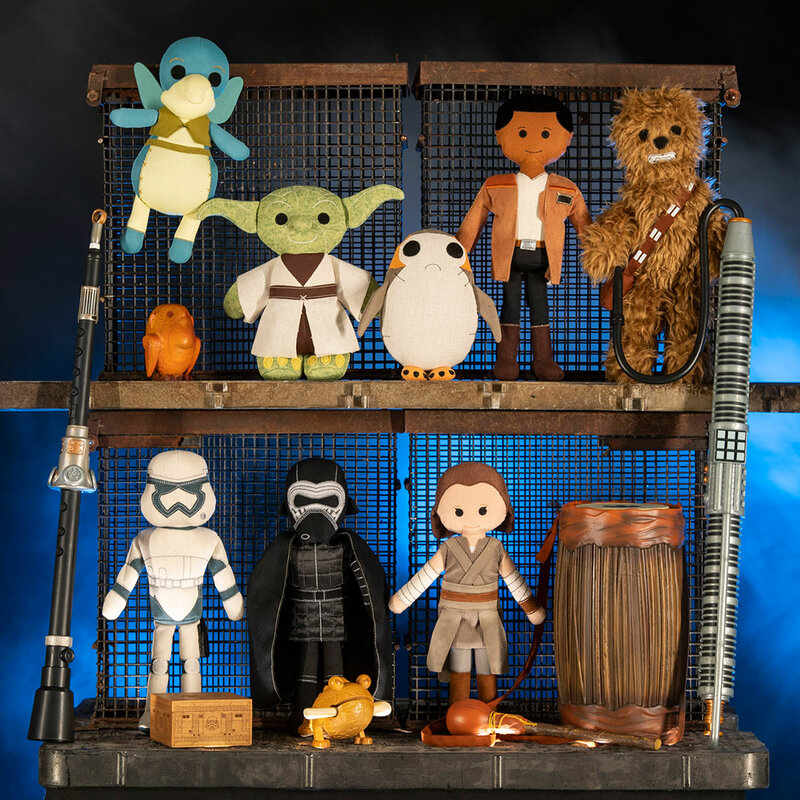 Items include plushies of Star Wars heroes, musical instruments that can be played and come pre-loaded with in-universe music, and trinkets like a wood-carved convor. None come in packaging because on Batuu, toys are handmade. 16. 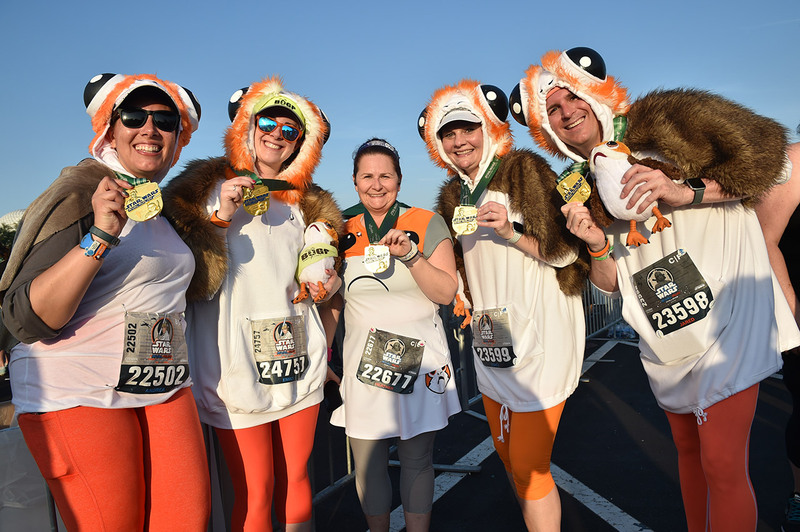 If you ever wanted to be a Jedi, you can now dress the part. 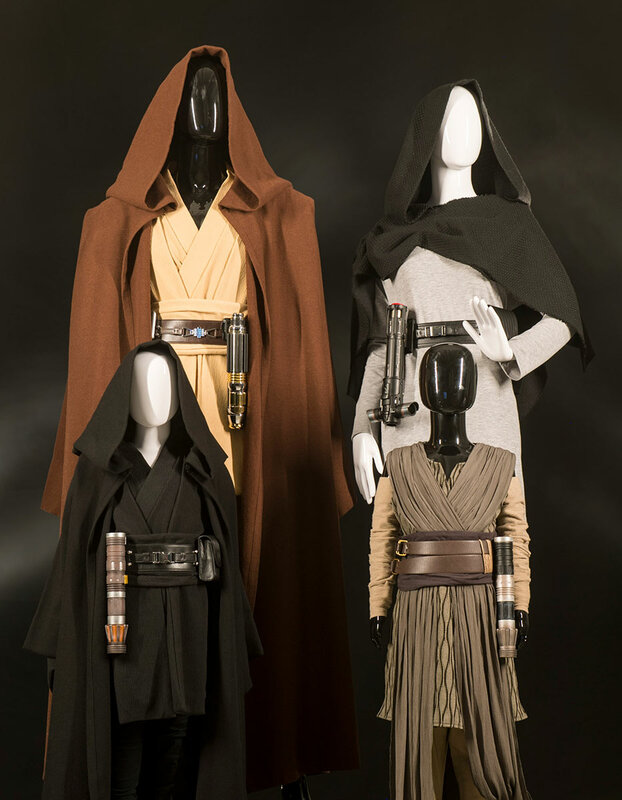 Black Spire Outfitters, a clothing boutique, will offer Jedi attire that you can mix and match, and much more. 17. Rise of the Resistance is gloriously long. “This is one of the most epic attraction experiences we have ever built,” Trowbridge said. 18. 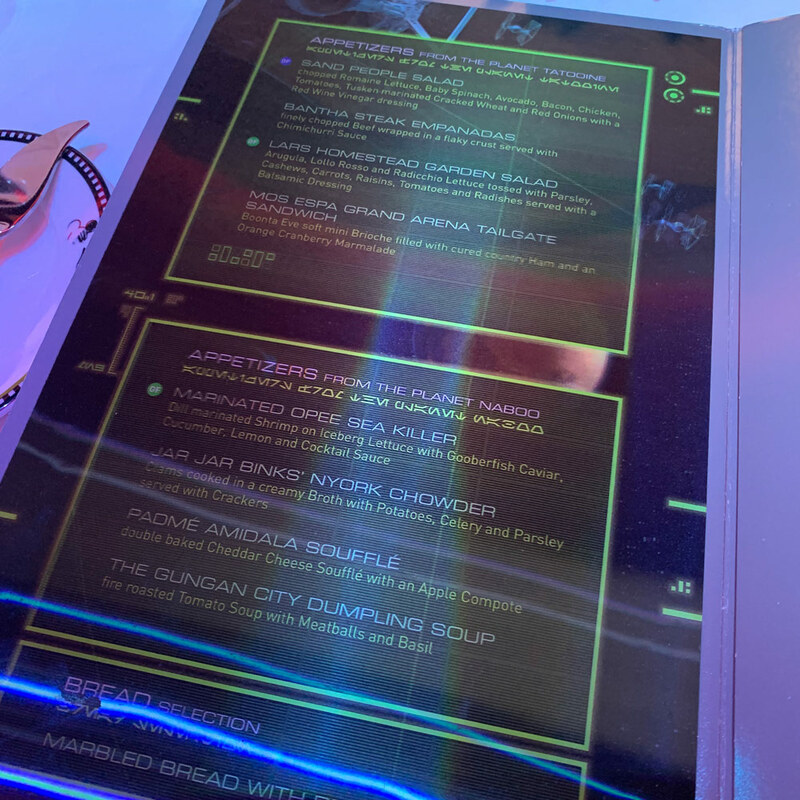 Upon entering Galaxy’s Edge, your phone will transform into your very own in-universe datapad. The Play Disney Parks App switches automatically to Star Wars mode, and “It will unlock a whole bunch of new missions, stories, and ways to interact with the land,” Trowbridge said, “that for the very first time, is built into the land from the very beginning.” You’ll be able to translate languages and signs, hack droids, message with characters like Hondo Ohnaka, and much more. 20. What’s in a name? A lot! Hundreds of names were discussed and it took over a year to settle on “Black Spire Outpost.” “We wanted a name that, when you hear it, you say, ‘Oh, I want to go there,’” Beck said. 21. There’s more to the spires than meets the eye. Concept art and designs coming in from the legendary Doug Chiang and the art team fueled the story elements of Galaxy’s Edge. 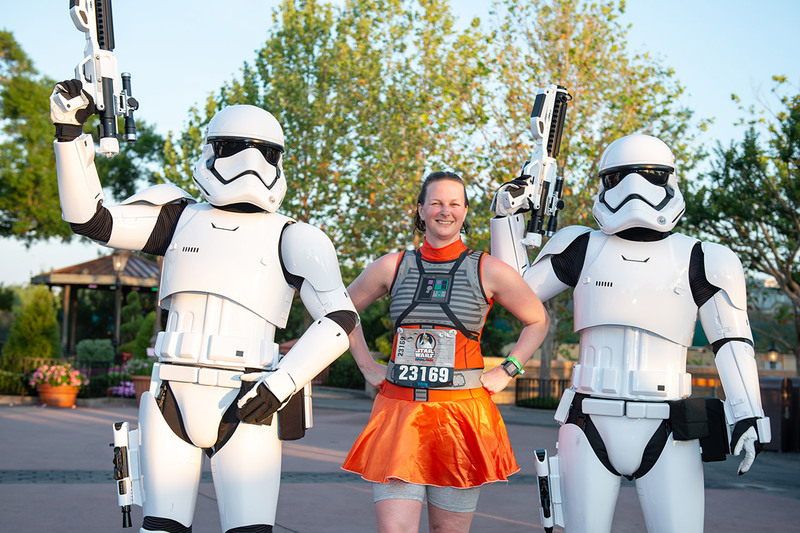 “They fed us with so much inspiration,” said Margaret Kerrison, managing story editor at Walt Disney Imagineering. “We’re looking at this and we’re like, What are these things that are protruding out from the ground? Can they be more than just rock formations? Could they have been these tall, towering trees from hundreds of thousands of years ago, and could they have eroded and petrified into rock? Wouldn’t that be really interesting? What if one of these spires was really special — that it was in the middle of the outpost, and that’s how Black Spire Outpost got its name?” Is there a reason the black spire is special? Thus far, no one is saying, but you might hear chatter about it from villagers in Galaxy’s Edge. 22. Be sure to visit to Dok-Ondar’s Den of Antiquities. Mentioned in Solo: A Star Wars Story, Dok-Ondar is the Ithorian gatekeeper of the black market on Batuu. 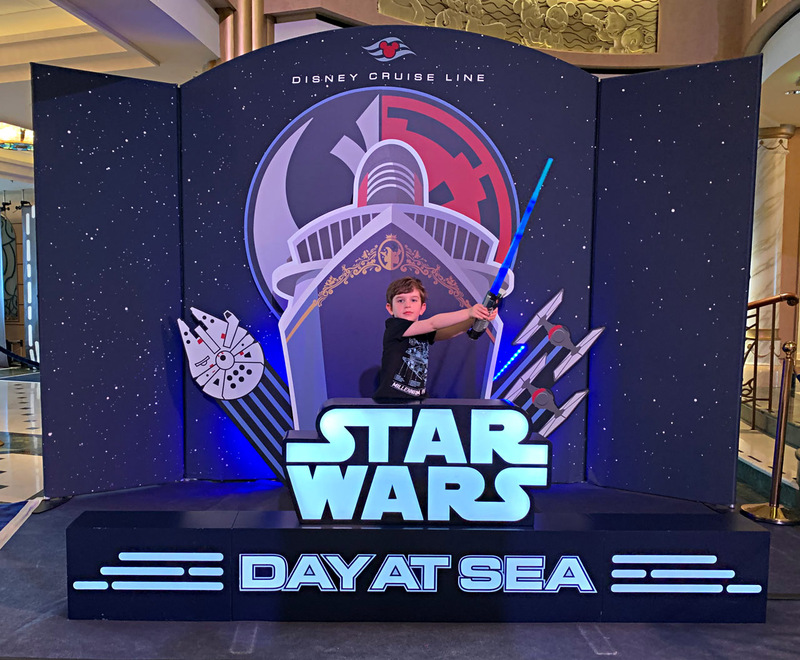 His shop promises to be filled with treasures from across the galaxy, including holocrons, stone carvings of Jedi warriors, and more rare artifacts. 23. Hondo Ohnaka comes to life. The shady Weequay pirate and fan favorite from Star Wars: The Clone Wars and Star Wars Rebels is now one of Disney Parks’ most complex Audio-Animatronics figures; at Black Spire Outpost, he’s teamed up with Chewbacca, and needs you to transport some cargo on the Falcon. 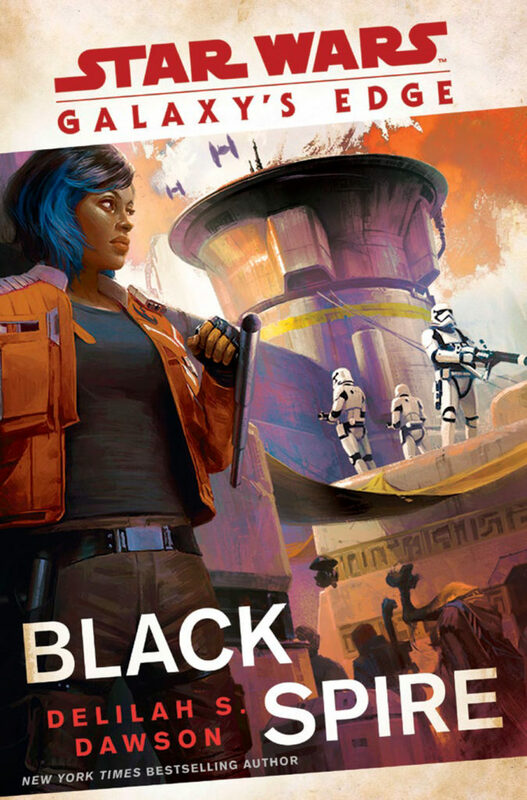 “One of the things that we aimed for is finding the opportunities to honor all levels of fandom, whatever part of the galaxy they’ve participated in, and he became a great choice as someone to meet here on Black Spire,” said Beck. 24. Rex from Star Tours has a new gig. 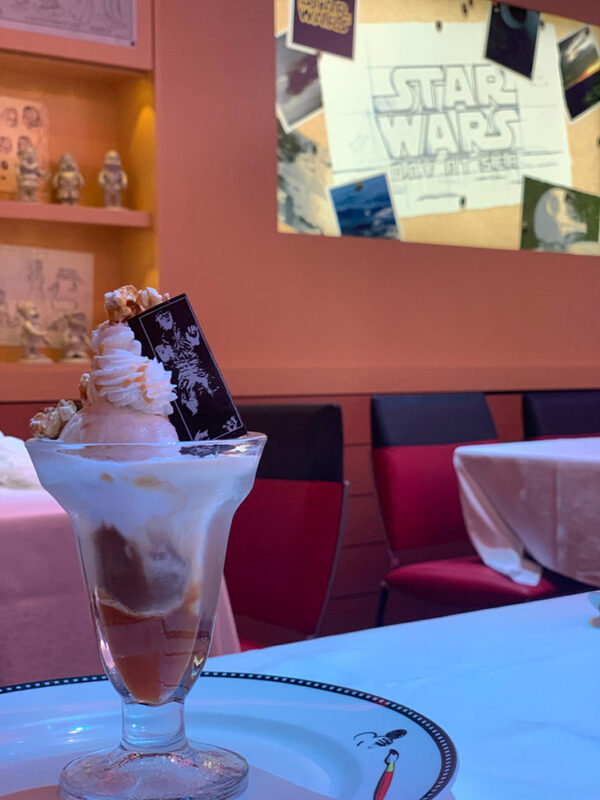 No longer piloting Star Tours (which is probably for the best, considering his flying skills), R-3X is now a DJ at Oga’s Cantina, where you can order galactic drinks like Fuzzy Tauntaun. 25. It is filled with Easter eggs. “There are way too many to mention,” Kerrison said, but she confirms one favorite: Pablo Hidalgo has voiced one character that you might meet. 26. Disney Cast Members will walk among you as native Batuuans. You’ll be able to speak with, and learn from, villagers at Black Spire Outpost, all with different stories to tell. Some might be Resistance sympathizers; some might be First Order loyalists. Star Wars: Galaxy’s Edge opens in California’s Disneyland Resort in summer 2019, and in Florida’s Walt Disney World Resort in fall 2019. 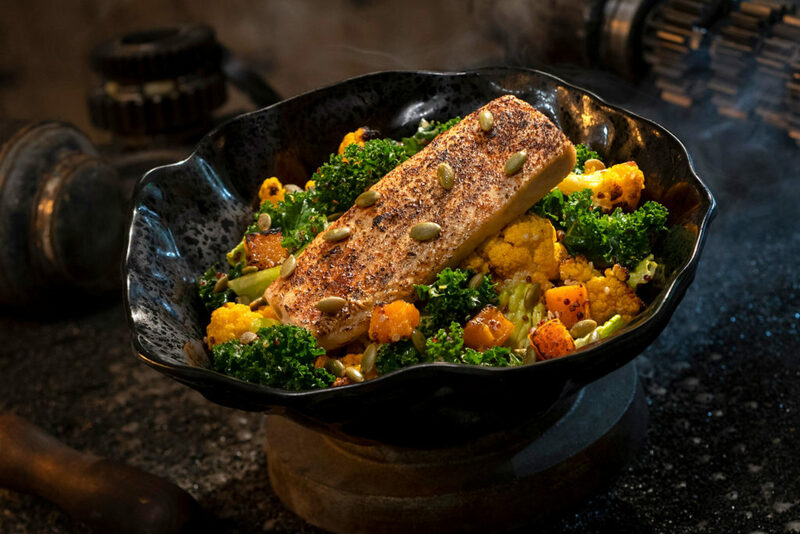 See more of Star Wars: Galaxy’s Edge in StarWars.com’s complete photo and image gallery. If you’re like Chewbacca and always thinkin’ with your stomach, you’ll enjoy Star Wars: Galaxy’s Edge. The Star Wars-themed land is set to host enough tasty delights to please anyone, including our favorite Wookiee. 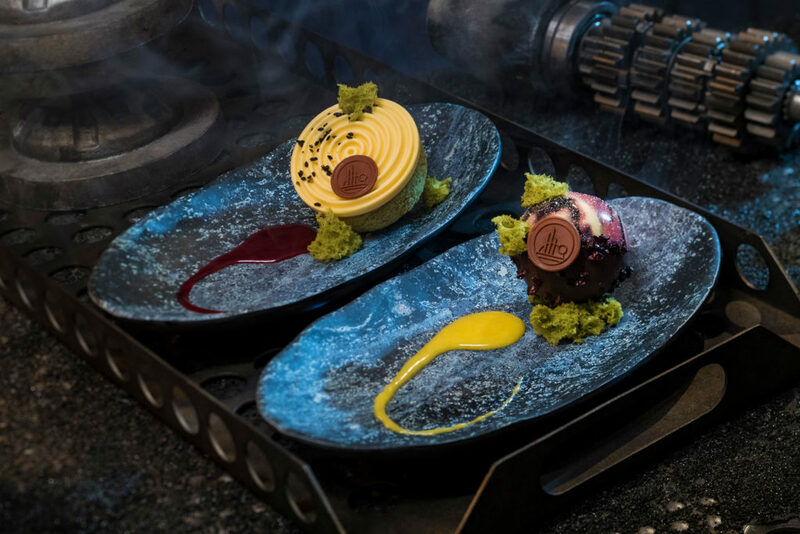 Food and drink at Black Spire Outpost will be purely in-universe, and served at a few eateries and watering holes, including the newly-revealed Ronto Roasters, Docking Bay 7 Food and Cargo, and Oga’s Cantina. Last week, StarWars.com was invited to taste many of the galactic dishes, snacks, and beverages coming to Galaxy’s Edge, and got an early look at these vendors in a tour of the Disneyland Resort site in Anaheim. Ronto Roasters, while still incomplete during our walkthrough, is open and airy with big entrances — maybe to get all those giant rontos inside. 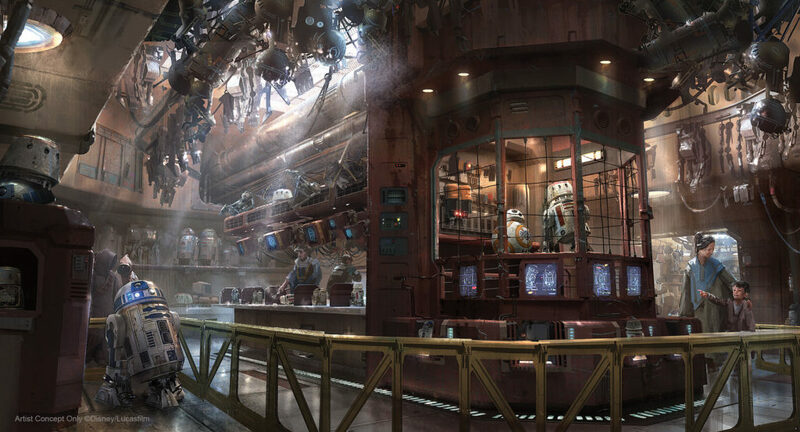 Concept art of the eatery has revealed an ingenious detail: a giant podracer engine serves as the establishment’s cooker. 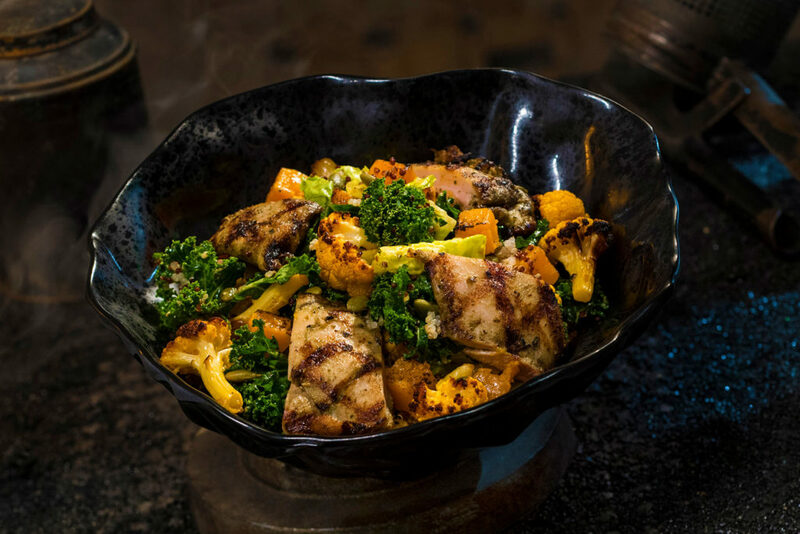 “This location is super fun because it’s all about meat, and it’s all about heat,” said Koziol. That means drier options, including turkey jerky, and the signature Ronto Wrap, a handheld sandwich, filled with Portuguese sausage, roasted pork, and a cabbage slaw on top, all in a grilled pita. It’s finished with a spicy “clutch sauce,” named for Darth Vader’s Force grip, which activates on the sides of your throat. It’s weird, fun, and I can confirm that ronto meat is pretty delicious. Docking Bay 7 Food and Cargo seems to be a larger space, with cargo crates doubling as stalls at which to eat — and one crate being lowered through a giant hatch in the ceiling. 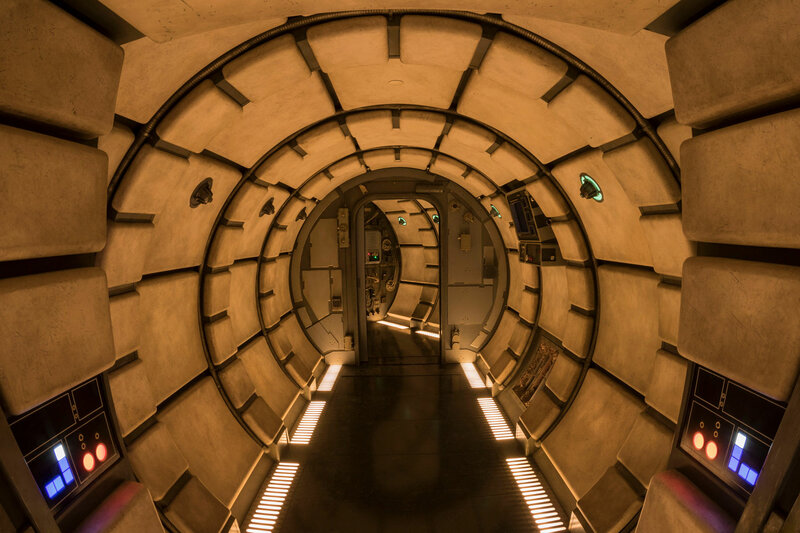 (It’s touches like that that made Galaxy’s Edge, even in its incomplete state, feel authentically Star Wars.) Among the offerings are Fried Endorian Tip-Yip (rectangle shaped fried chicken) and Kaadu Ribs (smoked country sticky pork ribs with blueberry corn muffin and cabbage slaw); my favorite, Felucian Garden Spread (a plant-based kefta “meatball” dish, which I could not tell was not made of beef, with herb hummus and tomato-cucumber relish with pita bread), takes inspiration from its namesake, Felucia, a planet covered in plants and foliage. 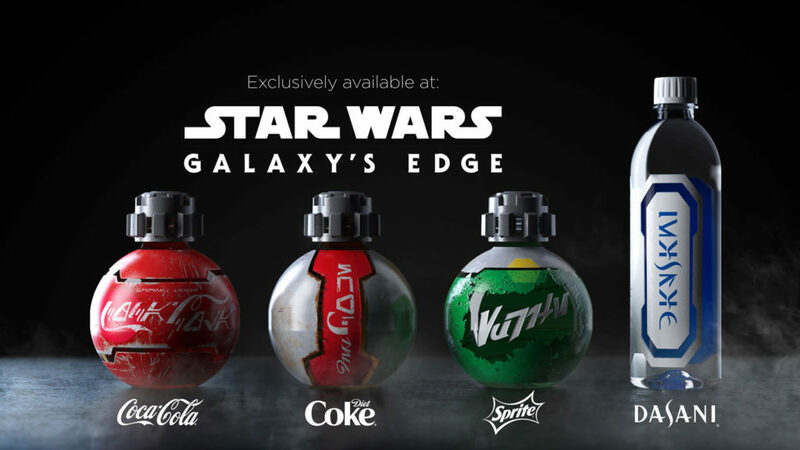 “The flavors in Galaxy’s Edge and Docking Bay 7 are going to be very bold. 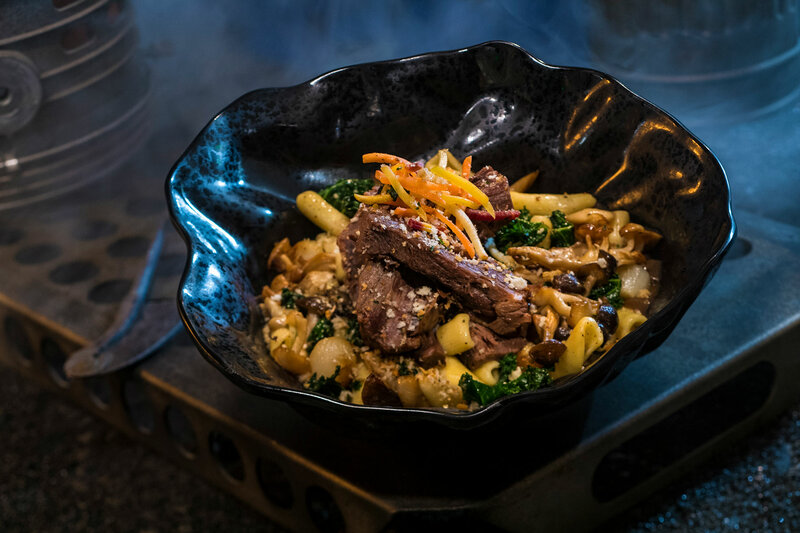 A lot of spice-forward,” said Koziol. And some surprises are still being cooked up. When asked if the raspberry puff dessert shell was inspired by Rey’s instant bread, Koziol was cagey. “We have some other plans for that inspiration that will come out at a later time,” he told me. 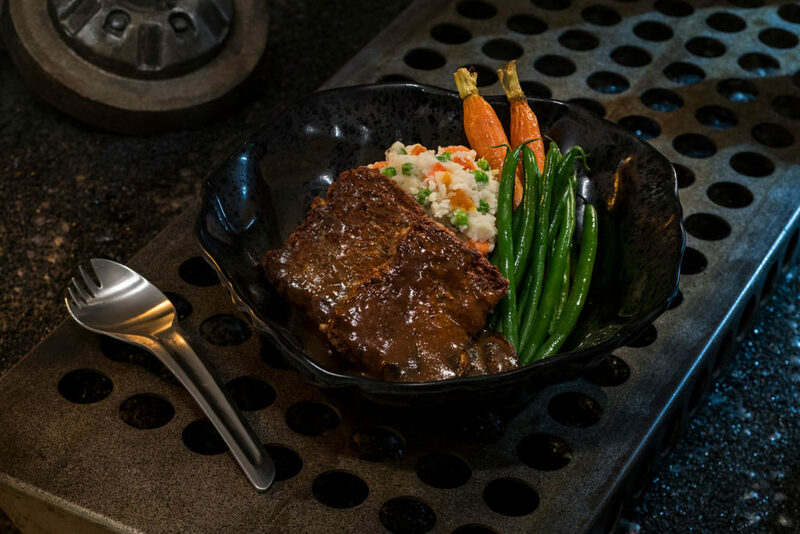 Oga’s Cantina, the watering hole of Black Spire Outpost, is a blend of the old and new. It’s like stepping into the Mos Eisley cantina sequence from A New Hope, but not quite; there’s the U-shaped bar, with piping in the middle, and tables in private nooks. When you visit, you can walk right up to the bar and order, just like Luke. It’s familiar, yet different enough that you won’t feel like Greedo could be just around the corner. 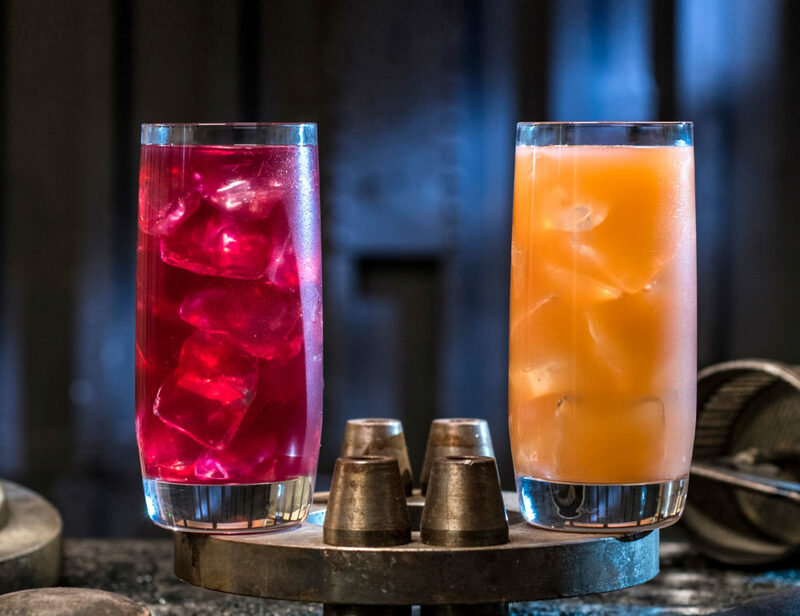 Beverages will be available at Oga’s Cantina, Docking Bay 7 Food and Cargo, and select stands. 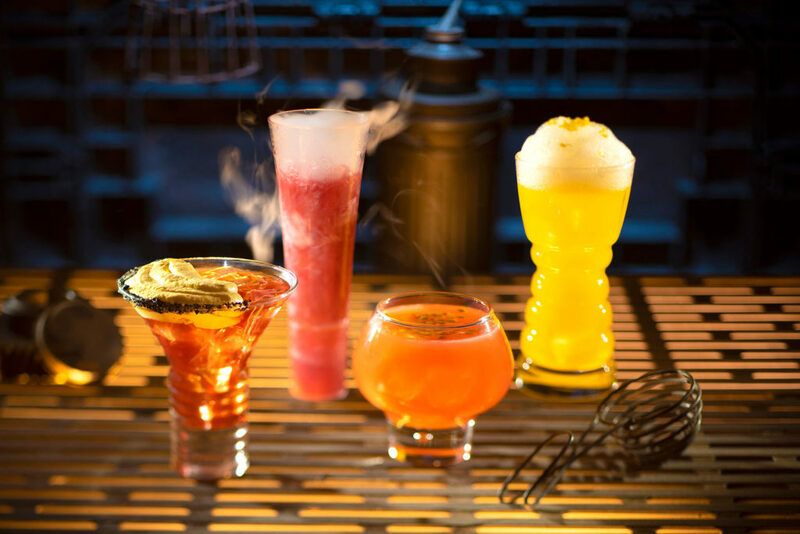 They’re colorful, with hues ranging from pink to orange to yellow and beyond: the non-alcoholic Tatooine Sunset, a reddish pink, is tea-based and smooth. Moof Juice, a pinkish fruit juice, is cool and refreshing. 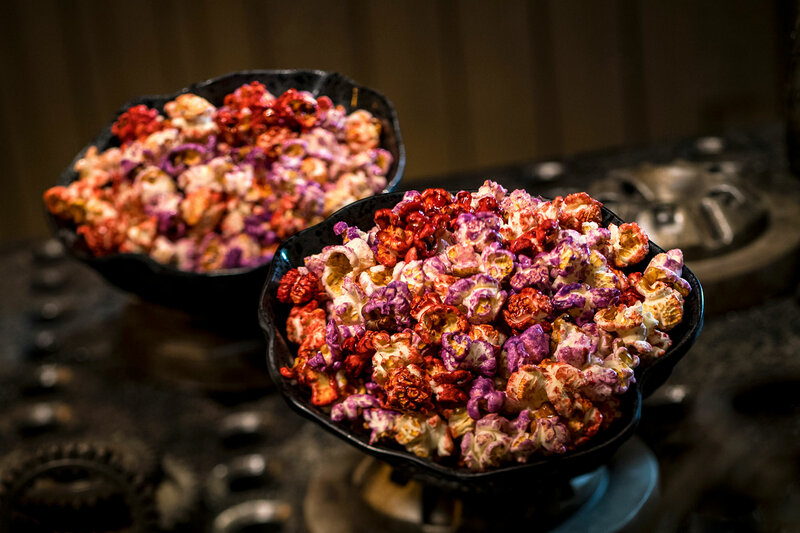 Oga’s Obsession falls somewhere between beverage and snack, and tastes the most other-worldly; contained in what looks like a petri dish, you scoop your serving, and the garnish pops in your mouth. Finally, some of Star Wars’ most iconic drinks are coming to Galaxy’s Edge. Blue and Green Milk (for those who prefer the thala-siren variety) will be available, both made with plant-based dairy. 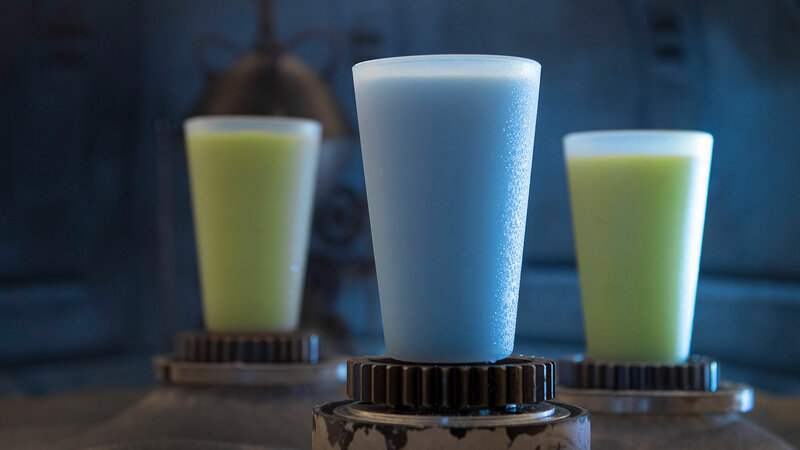 You can pick up frozen iterations at the Milk Stand, and a regular version of Blue Milk at Oga’s Cantina. “They’re very flavorful, they’re kid-friendly. 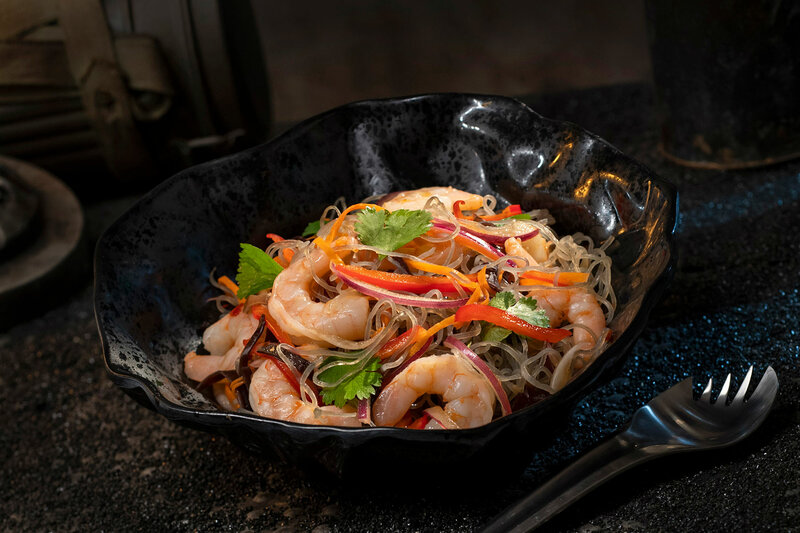 Guests of all ages can enjoy these,” said Brian Piasecki, culinary director of concept development at Walt Disney World Resort. While we didn’t get to sample these drinks, Piasecki described Blue Milk as having “berry combinations that can come through” with hints of melon, while Green Milk is more tropical. 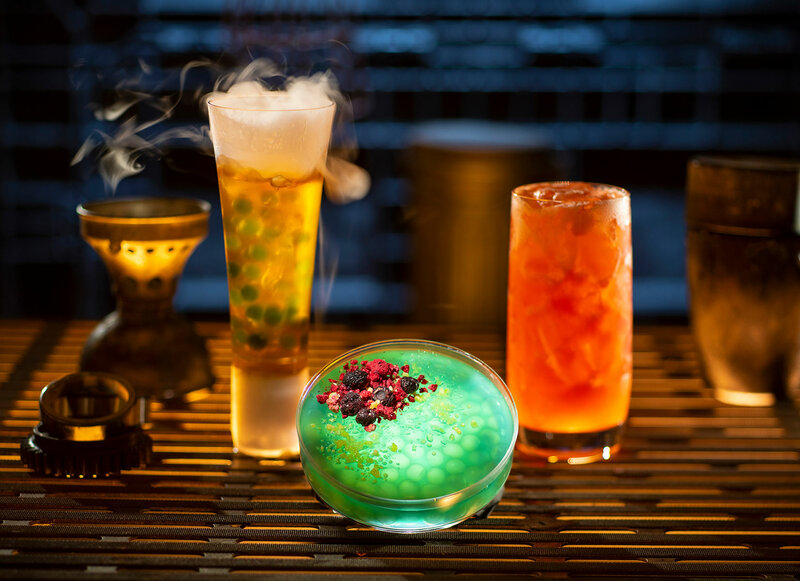 Star Wars Rebels fans will be happy to learn that Meiloorun Juice, a non-alcoholic drink based on a fruit introduced in the animated series, can be purchased at Ronto Roasters. And if you want something more of our own galaxy, fear not. 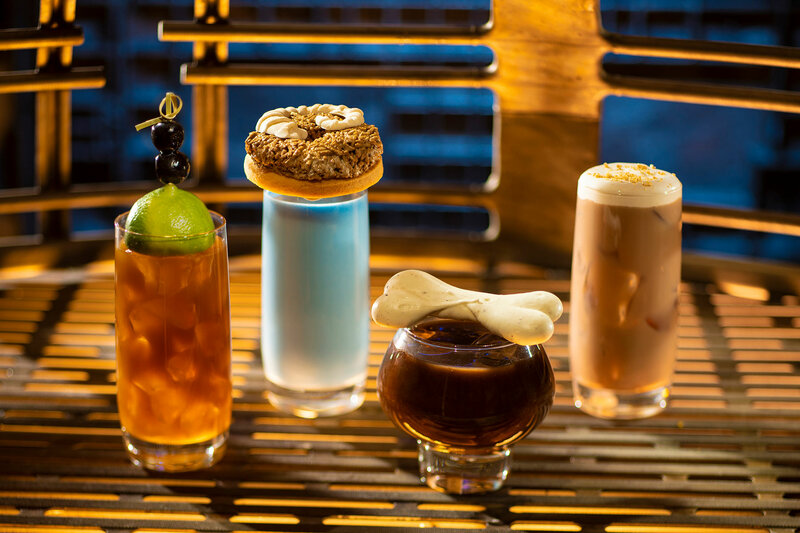 “The cargo ships are coming back and forth all the time, so there’s lots coming in and out from galactic space,” teased Michele Gendreau, food and beverage director at Disneyland Resort. 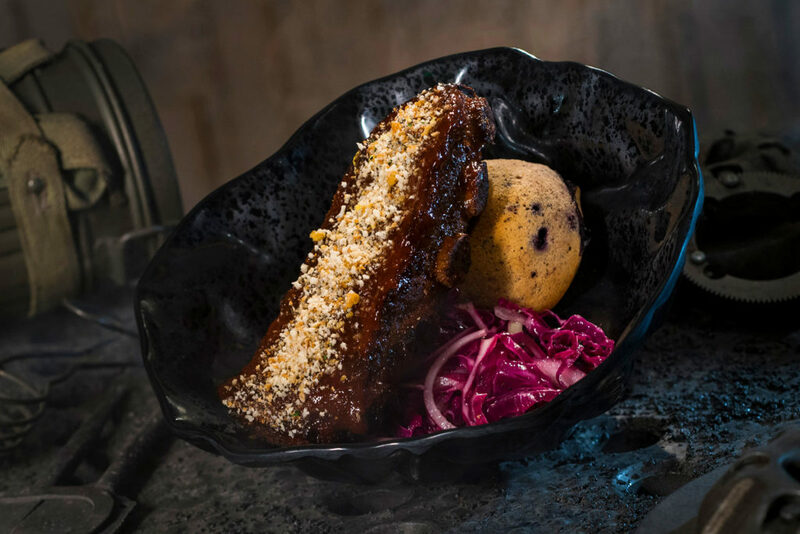 There’s a big galaxy of food and drink waiting at Galaxy’s Edge. 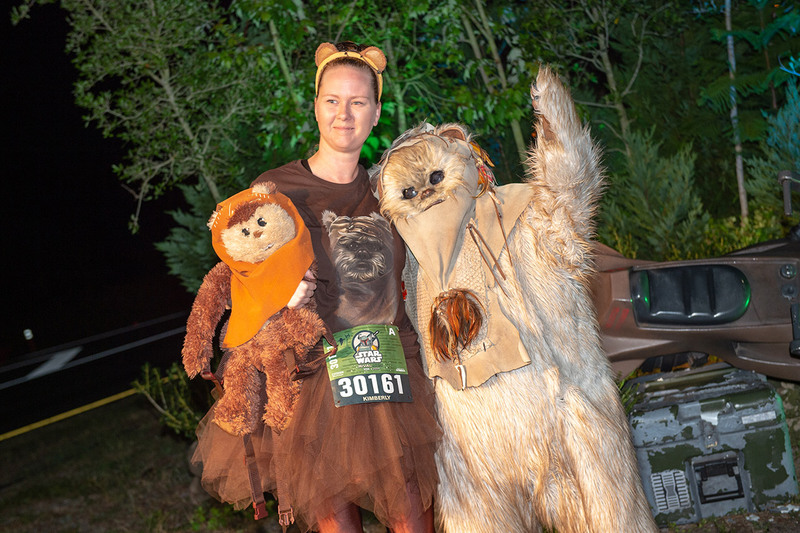 Feel free to indulge your inner Chewie and enjoy — without fear of Ewok traps. 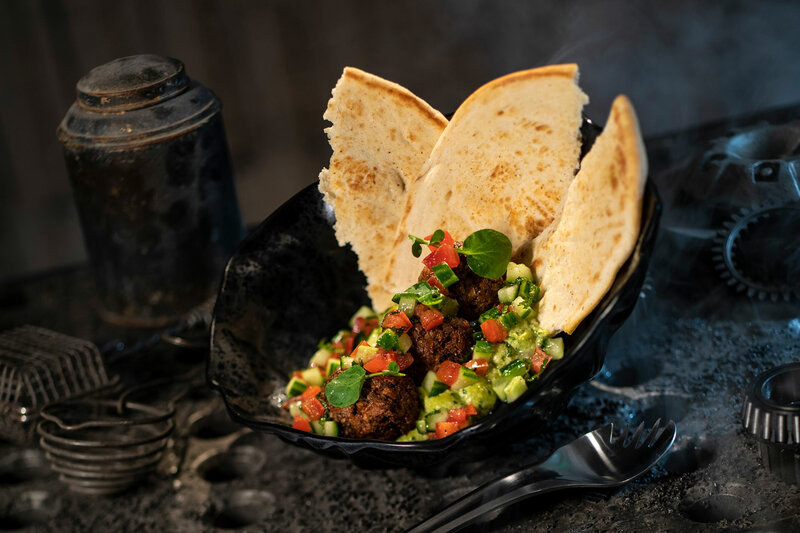 Check out more food and beverages coming to Star Wars: Galaxy’s Edge below! Black Spire Outpost, the bustling hub of Star Wars: Galaxy’s Edge, will be filled with a galaxy of strange beings and places to visit — as revealed to StarWars.com and select media in a special preview with its creators, and a site tour last week at California’s Disneyland Resort. Among the characters coming to the Star Wars-themed land is a certain Weequay, making the jump from animation to the real world. Hondo Ohnaka, as he appeared in Star Wars: The Clone Wars. 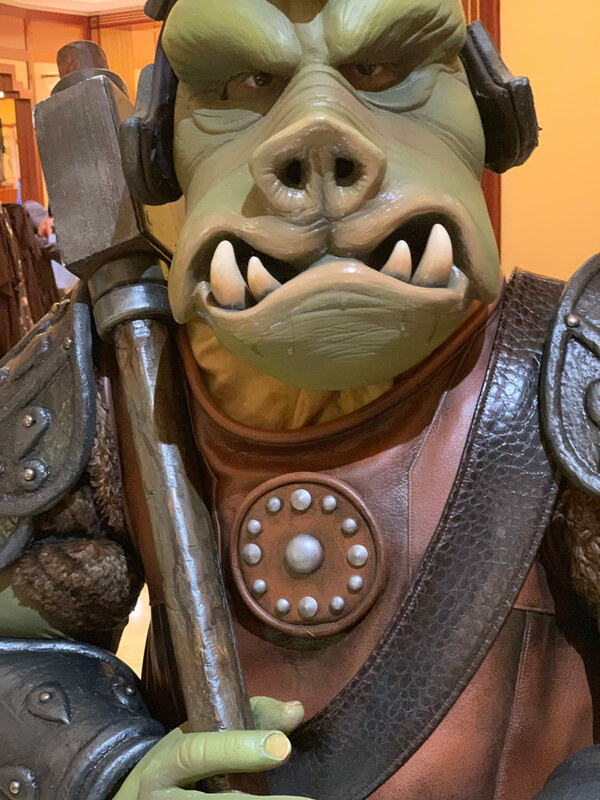 Hondo Ohnaka, the shady, fan-favorite pirate from the animated series Star Wars: The Clone Wars and Star Wars Rebels, has been brought to life as one of Disney Parks’ most complex Audio-Animatronics figures ever created. You’ll find him waiting in the control tower of a Black Spire Outpost spaceport in the attraction Millennium Falcon: Smugglers Run; he’s teamed up with Chewbacca and needs you to transport some cargo on the iconic bucket of bolts. Previsualization — building characters or scenes with 3D graphics — was employed to model Hondo and other characters’ animations, which allowed for fast improvements, and motion capture was used to create more organic movements. This was all enabled, however, because of a major shift in how Imagineers are approaching their Audio-Animatronics technology. “We are able to do more previsualization in this project because we’ve shifted towards electric figures,” said Victoria Thomas, associate show mechanical engineer at Walt Disney Imagineering. Traditional animatronics are hydraulics-based, she explained, starting with the 1964 World’s Fair Abraham Lincoln, Imagineering’s first Audio-Animatronics human figure, all the way to today. “This project team came together and said, ‘Okay, how do we create the latest and greatest kit figure?’” They went back and forth, landing on electric; this guaranteed a higher-quality performance, longer-lasting life, and the use of digital techniques, like previsualization. Hondo, however, is just one of the many faces, both familiar and new, at Galaxy’s Edge. Zabaka, a female Toydarian, runs a shop featuring artisan-style items: There are wooden Convor whistles, musical instruments (that are playable and come pre-loaded with tunes), and plushies of aliens and galactic heroes. The Creature Stall, owned by Bina, will offer oinking puffer pigs, writhing rathtars, and chirping porgs. Black Spire Outfitters will provide all your galactic apparel needs, from First Order uniforms to Jedi attire. 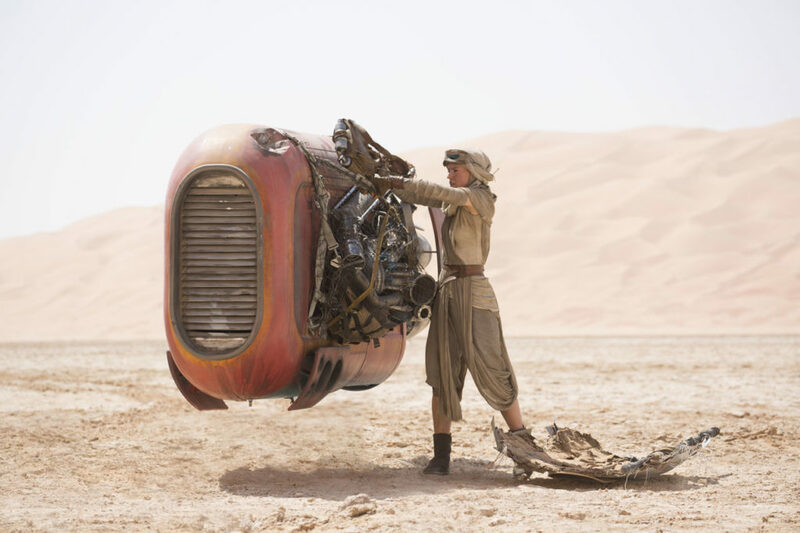 You’ll even be able to build your own lightsabers and droids at Savi’s Workshop and the Droid Depot, respectively. 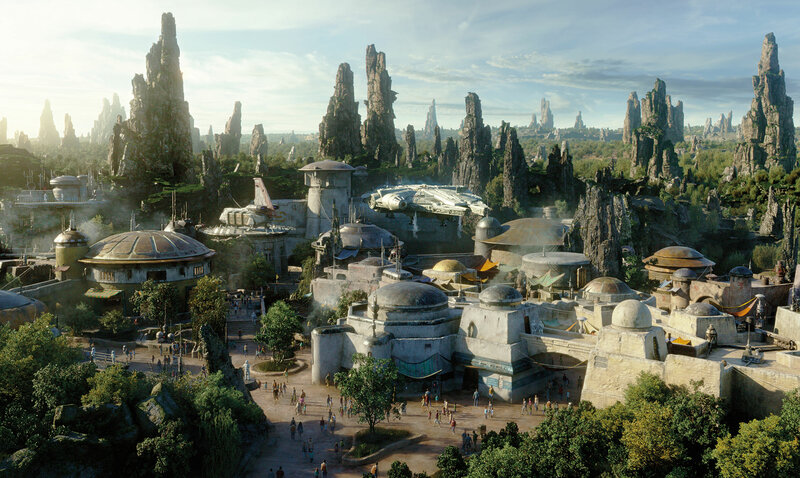 “Everything was created through the lens of Star Wars: Galaxy’s Edge,” said Brad Schoeneberg, director, merchandise strategy and new park experience development at Walt Disney World Resort. “The product that you leave with is the one that you’ve designed based on the choices that you’ve made, and reflects the one that really is inherent to your Star Wars adventure.” In a clever in-universe detail, packaging will either fit with the story of the store, or be non-existent. 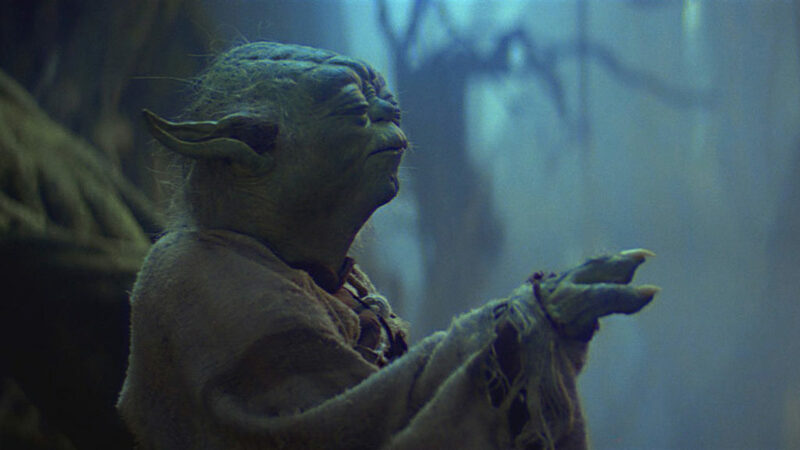 After all, Luke Skywalker built his lightsaber — it didn’t come in a box. And the story continues: your lightsaber will contain a kyber crystal that contains a message that can only be unlocked when paired with a holocron; your droid will know a lot about Black Spire Outpost, and can react to your experiences. 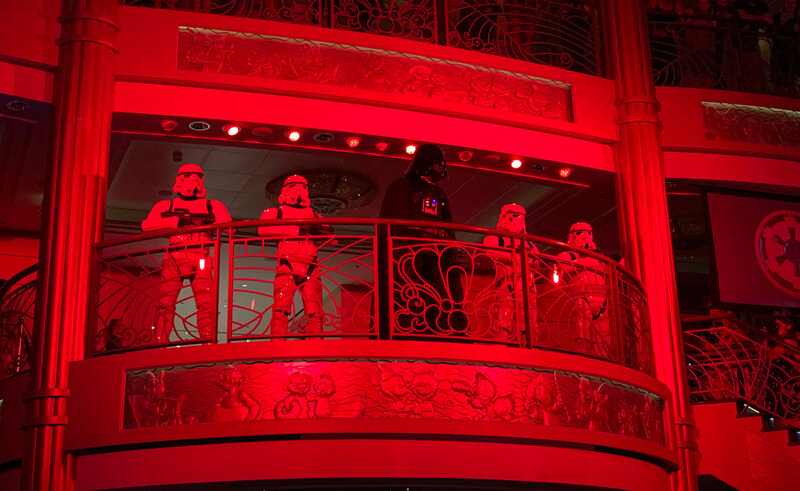 If you’ve ever been on the original Star Tours, you’re in for a reunion of sorts. 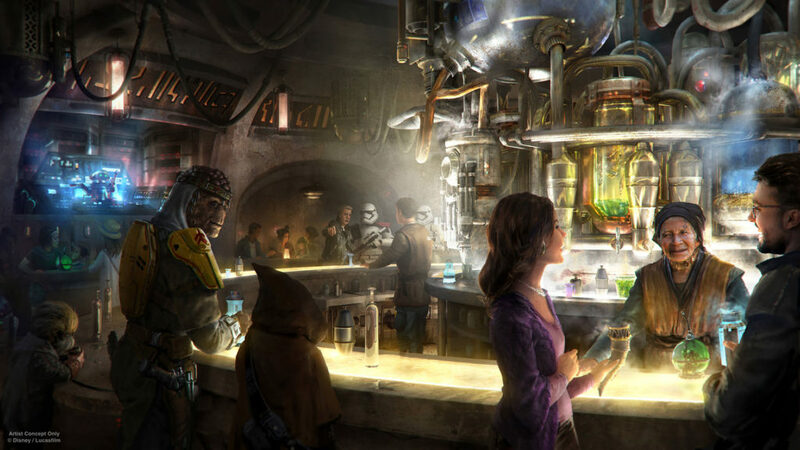 R-3X, or Rex, the first Star Tours captain, has a new gig in Black Spire Outpost: he’s the DJ in Oga’s Cantina, the locale’s watering hole. In our sneak peek at Rex, he bopped his head charmingly to the music, which sounded like what could only be called Jawa hip hop. Lucasfilm’s Matt Martin, a longtime Disney Parks fan, especially enjoyed contributing to Rex’s story. 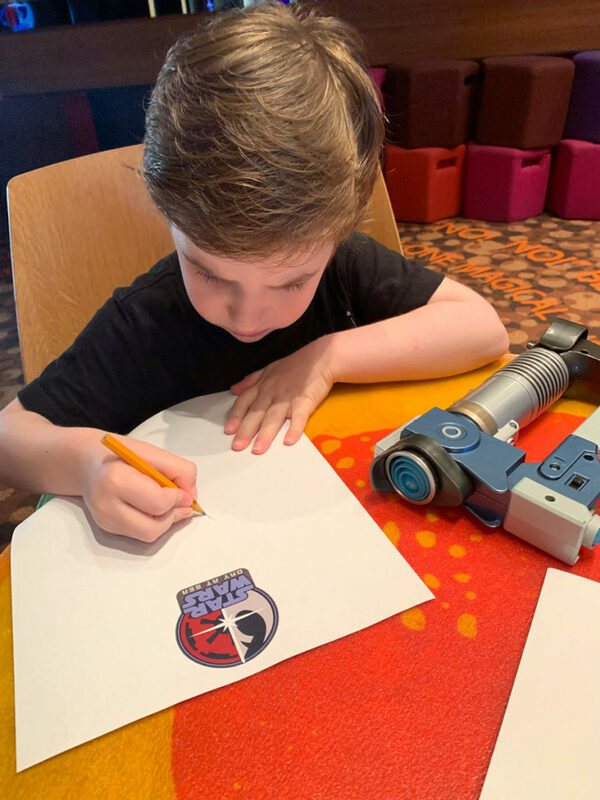 “Being able to dig into what his story is, and thinking about how he traveled from Star Tours and ended up on Batuu, has really been one of the joys of working on this project,” he said. Martin already had a backstory written for Rex, and passed it along as soon as he learned that the hapless droid was back. Paul Reubens provided the original voice of Rex, and while his return was not confirmed, it’s safe to say that upon hearing the droid’s new chatter, the Rex faithful will be pleased. And specially-dressed employees, also known as Disney Cast Members, will roam Black Spire Outpost. You’ll be able to speak with, and learn from these villagers, all with different stories to tell. 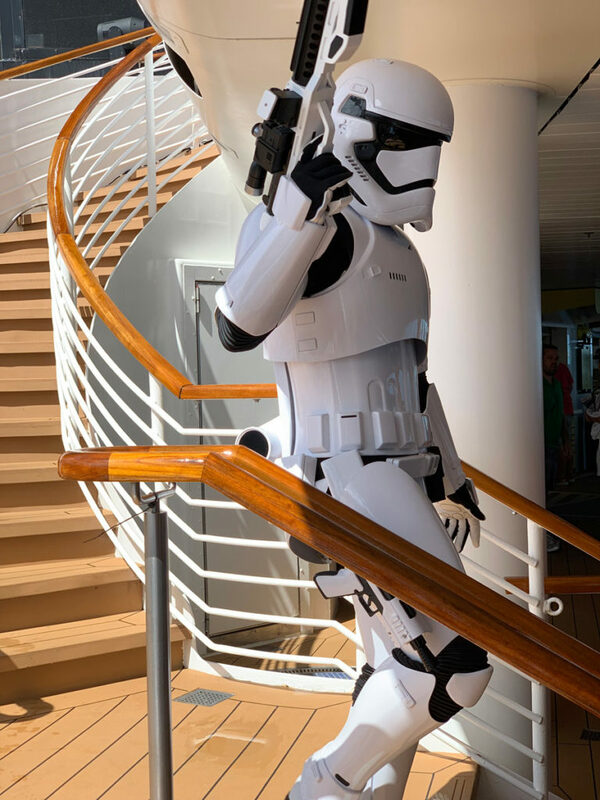 Some might be Resistance sympathizers; some might be First Order loyalists. So choose your words wisely depending on your allegiance. 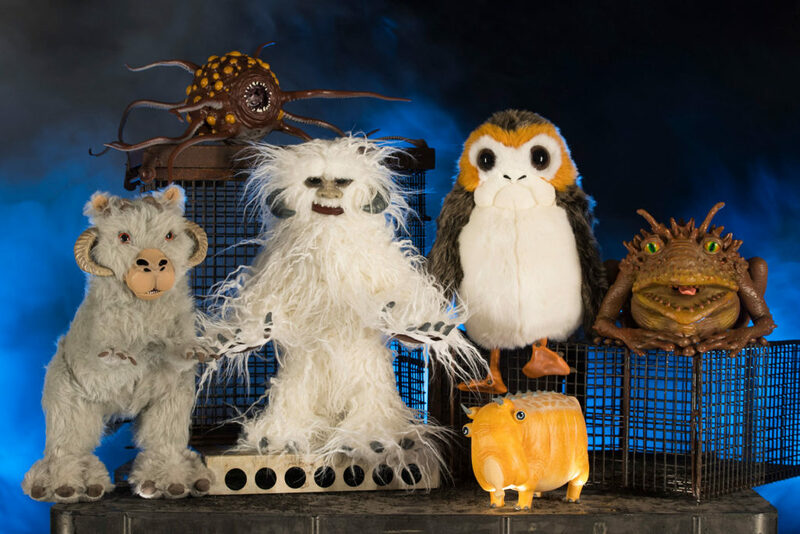 These characters and locales will become part of your own Star Wars story when Galaxy’s Edge opens this summer at Disneyland Resort and in the fall at Walt Disney World Resort. Better practice your galactic good manners.